The city of Adelaide will be awash with pink, green and conjunctivitis-riddled unicorns come February 2017. 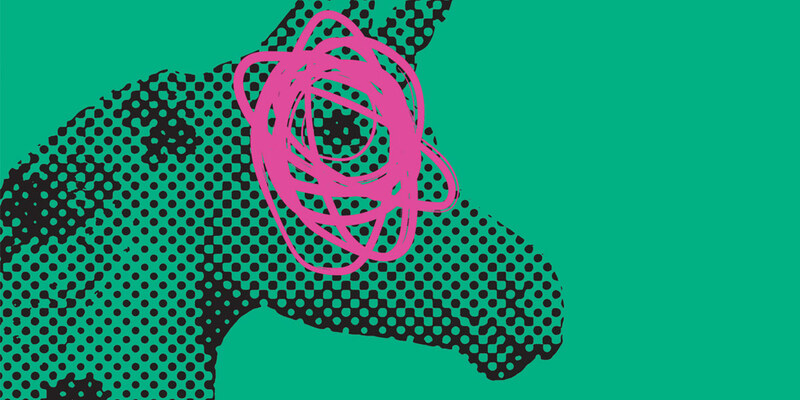 The annual Adelaide Fringe Poster Competition has once again produced an ‘eye-popping’ design that fittingly mirrors the quirky characteristics of the event, while setting out a visual guide for further branding. The pop-art inspired poster was designed by French native, but Barossa-based, artist Jennifer Rimbault who bested around 200 other entries from all over the world. Rimbault set out to create a “quirky and unusual creature” that “isn’t what people would expect”, while sticking to the brief of capturing the exciting, magical and mythical spirit of the festival. Interestingly, one-fifth of the posters in the top 30 also had similar unicorn/centaur based characters, in their own pursuit of mystical whimsy. Fringe Director Heather Croall heralded the design as the standout of the competition. “We called for a poster that echoed the exciting and magical spirit of the Fringe.” Ms Croall said. Interestingly, a sequential theme, of the competition winners artwork, has been developing from year to year. Since 2013, the biennial pattern of ‘unique character’ followed by ‘colourful pattern’ has again continued with the 2017 mythical unicorn; expect a deluge of pattern-based submissions for the 2018 competition. As always there will be an unparalleled array of comedians, musicians, dancers, theatre acts, cabaret and magic shows, circus acts and physical theatre on offer. 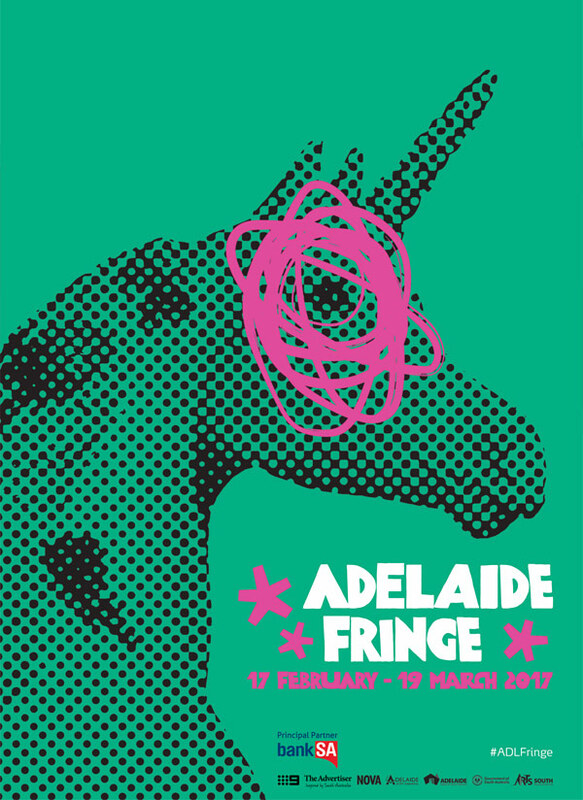 All information on next years Adelaide Fringe can be found on their official website. How good is your designer’s eye?